It comes with a brand new cover artwork, plus the newly re-illustrated 2010 video which can be unlocked and viewed via the digital insert on the CD format. 'December Song (I Dreamed of Christmas) 2010' will be available in both Standard and Deluxe (Christmas Card Version) formats. 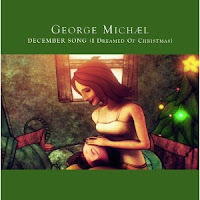 'December Song (I Dreamed of Christmas) 2010', plus the re-animated video will also be available for purchase digitally on 12 December 2010.